Although dentures can improve the way a patient talks and chews, they are not usually reliable enough to restore its full function. All-On-4 dental implants utilize the newest technology to replace these teeth with a full dental bridge that is properly supported with just four dental implants. Instead of dentures that move around in your mouth, these dental implants keep your new bridge in place so you can use your teeth the way you were meant to use them. Unlike traditional dental implants, the All-On-4 system does not have a long and drawn out healing process. With just four dental implants, your jawbone heals much faster, which allows you to continue your daily activities. After just a few weeks, you should be able to continue eating your favorite foods. Another benefit of opting for All-On-4 dental implants to replace missing teeth is the reduced cost of the procedure. Since you only need four implants, you do not have to pay as much as you would the traditional dental implant treatment. This allows you to restore the function and aesthetic appeal to your mouth on your budget. The All-On-4 dental implant procedure gives you a much bigger say in the final look and feel of your implants. You can either decide on a fixed option or a removable option. The fixed option offers the most durability and the most natural feeling when you chew. The removable option is a little bit easier to keep clean. Talk to your oral surgeon in St. Louis about which option will work the best for you. 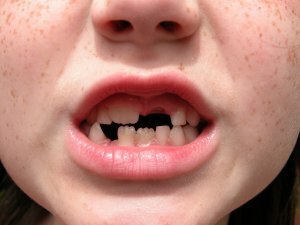 Even missing one tooth can mess up the overall function of your bite. If you want to restore function to your mouth to make it easier to talk and to chew, you should consider replacement teeth solutions like same-day dental implants or dentures. These new teeth can work together with your natural teeth to restore the function of your bite. Over time, missing teeth might start to change the shape of your face. If you do not want your cheeks to sink in around the areas where you are missing teeth, it is important to look into some replacement options. Talk to your oral surgeon in St. Louis about your missing teeth and which replacement option will do the most for you to help you maintain your facial structure. Even one missing tooth could have a negative impact on the aesthetics of your smile. If you are embarrassed about showing off your teeth, it might be time to think about replacement options like same-day dental implants. Your dentist can match the dental crowns to the color of your teeth to help you get a smile of which you can be proud. When you lose teeth, the surrounding teeth could start to suffer. Huge pockets in your gums create a lot of space in which plaque and bacteria could develop. If you do not get replacement teeth, this leaves your surrounding teeth and gums susceptible to decay and periodontal disease. If you are missing one tooth, your St. Louis dentist can use an all-ceramic crown on a dental implant to instantly restore the look and feel of your natural smile. 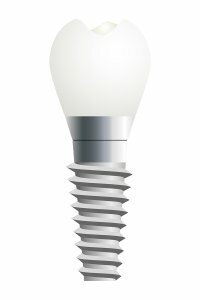 These implants serve as both a root and a replacement tooth to help you get the optimal function for your mouth. Unlike traditional dental implants, though, this option is put in as a single unit so you can get fast results, a reduced treatment time, and less pain. With the proper care, these all-ceramic crowns on dental implants provide lifelong results. This kind of dental implant procedure takes much less time to heal, which allows you to return to your normal activities shortly after you get the treatment. The dentist will install the implant and attach the new dental crown as soon as the implant fuses with the jawbone. You can expect natural-looking results that help you restore normal mouth functions. If you’ve had a positive experience with us at West County Dental then let us know how you feel about our great family dental practice in St. Louis on our Google Plus page! There’s no reason to suffer in silence with a smile you’re not proud to flash. Your dentist can offer a range of cosmetic dentistry solutions to help you achieve your best-ever grin. Watch this video to learn more about the treatments your dentist serving St. Louis may provide. If you don’t like the shape or color of your teeth, veneers could be the solution. Dentists use veneers to address issues with tooth size, shape, and color. 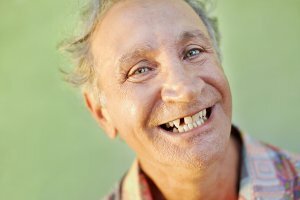 If you have missing teeth, same-day dental implants could help. Teeth whitening, crowns, and bonding are all examples of other procedures cosmetic dentist can use to improve the appearance of your smile. The results of most cosmetic dentistry treatments can last indefinitely with minor special care.